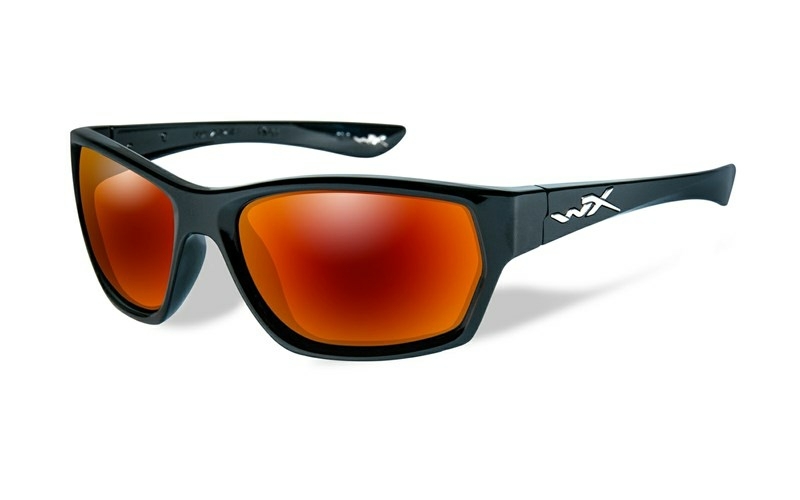 If you looking for a stylish, edgy and tough pair of eyewear – you’ve found it in the WX MOXY. This cool looking combination of a Gloss Black frame and Polarized Grey Crimson Mirror lenses is retro and modern at the same time. The polarized lens provides the user with a better vision and allows the eyes to feel more comfortable and well rested. Most users will find polarized lenses immensely helpful in improving the clarity and quality of their daytime vision. Polarized Wiley X lenses reduce glare and the special material and filter makes it easier to see into the water and therefore also makes it ideal to watersports. The Wiley X Filter 8™ Polarized Crimson Mirror (Grey) polycarbonate lenses is excellent for constant sun or very bright conditions. Ideal mirror for snowboarding, skiing, driving on sunny days or other extreme conditions. Reduces glare and improves contrast. The WX polarized lenses provides 100% UV protection and is coated with hydrophobic and anti-reflective coating protected by the T-Shell™ scratch resistant layers.